L&PDT is our Legal and Project Development Team, based at The Wharf House at Over Canal Basin. It brings together the expertise needed to develop the exciting new key projects on which the Trust is focusing and is directly funded by The Wharf House. We are pleased to able to call on pro-bono or heavily discounted support from a number of sources including Barrister Richard Kimblin and others of No.5 Chambers Birmingham, and New Civil Engineer Magazines ‘Consultant of the Decade’ Civil, structural and geotechnical Engineers Tony Gee and Partners. The team is regularly in liaison with landowners, developers, local authorities and commercial partners as well as looking at funding and project delivery. Its primary focus is not just today but the delivery of the long term strategic goals of the Canal Trust and the fundamental sustainability of the Waterway in both financial and all other terms. This has led to the L&PDT leading on a number of projects and being a key delivery partner on others. There is normally something in the order of 20% of the length of the canal in some form of negotiation, although many of these can take multiple years to reach delivery. Legal’s and negotiations for recent sites like Kymin East, Vineyard Hill, Dymock, Moat Farm and all other land acquisitions and partnerships and negotiations. Securing the restoration work carried out on Llanthony footbridge by the Government Pipelines Agency and devolving of legal liability to them. Securing Consent for the successfully revised plans for the development at Dymock, and taking this forward to delivery on the ground. Our annual Over Festival Weekend. … and our involvement in the Gloucester Waterfront Strategy. … to name but a few of the diverse range of activities we are involved in.. The team is constantly evolving and expanding to help us make major strides towards delivering the next projects. Rosamund Rutter worked for The Wharf House prior to and during her Law degree and helped form the fledgling L&PDT in 2010 whilst still at University. Roz joined the team full time having finished her Law degree in June 2011 to head up the legal services. Roz returned to the team full time in June 2013 having been on sabbatical to complete her Bar Professional Training Course to become a Barrister. Thomas Ashworth joined the team in a voluntary capacity following a presentation by David to members of the Institution of Civil Engineers in Gloucestershire on the diverse work in hand and the commercial strategy of the L&PDT. As a Civil Engineer he is playing a crucial role in helping to take projects forward, and we are also very pleased to have the assistance of his employer Tony Gee & Partners. They have an enviable reputation worldwide including such appropriate projects as the Falkirk Wheel, and we are very grateful for their ‘back office’ support in providing resources and technical expertise to assist Thomas in providing this crucial expertise to the H&G Canal Trust. Tony Kelly – assists as required in a voluntary capacity on the QS side. Most appropriately he has recently retired as the Head of QS Studies at Birmingham City University and is particularly assisting in delivery of the reconstruction of Mill Barn as a new Headquarters. Katie Purton has strong academic background within law, having recently achieved a master’s degree and distinction on LPC, a commendation on GDL, and a 2.1 at degree level. Particularly focused on property and company law with a variety of practical experience within the legal sector, including litigation. Katie joined us full time in January 2013, having been part time for the previous two months, and moved to Charles Russell Solicitors in April, and continues in an occassional role in her spare time. The role blends her keen interest in the law with the appreciation for the charity's admirable preservation work. Stephanie Pike has recently joined our Legal & Project Development Team (L&PDT) at The Wharf House on a 6 month internship which is 50% funded by the University of the West of England. She takes the role of the Legal & Project Development Assistant in support of our recently qualified barrister Roz Rutter. We are very pleased to have the support of Peel Group (owners of Gloucester Quays) who have to sponsored our H&G Canal Festival at Over, as well as contributing towards the employment costs of our L&PDT. We would welcome applications from those who feel that they could assist in our work both those in a voluntary or reduced cost capacity and from Graduates who might wish to enhance their CV’s but feel that they have sufficient to give to make a positive contribution. A part time Clerk of Works to oversee the growing number of projects on site undertaken both by volunteers and contractors. 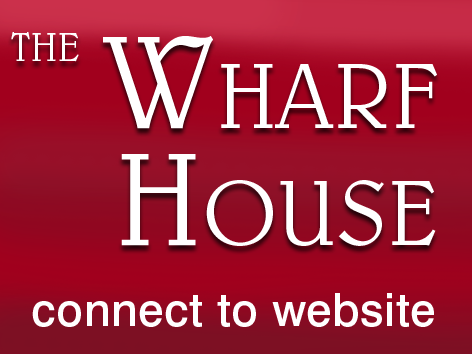 Please send a CV for the attention of Roz or David at The Wharf House <thewharfhouse@yahoo.co.uk>.